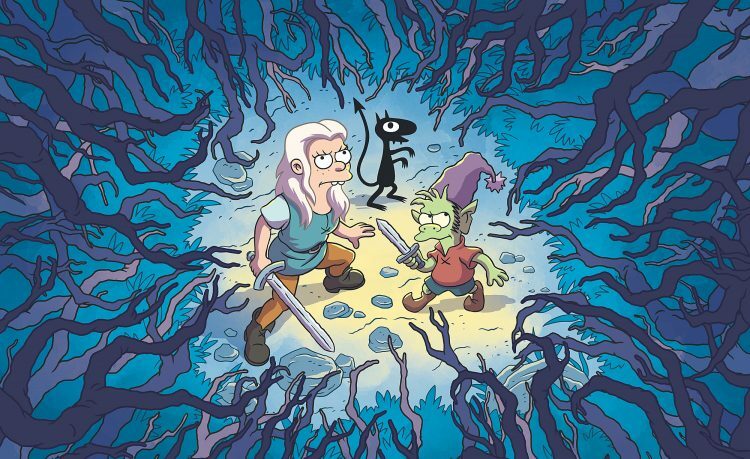 Matt Groening’s new show “Disenchantment” is to officially premiere on Netflix August 17th 2018. The show is labeled as “adult animated comedy fantasy series”. 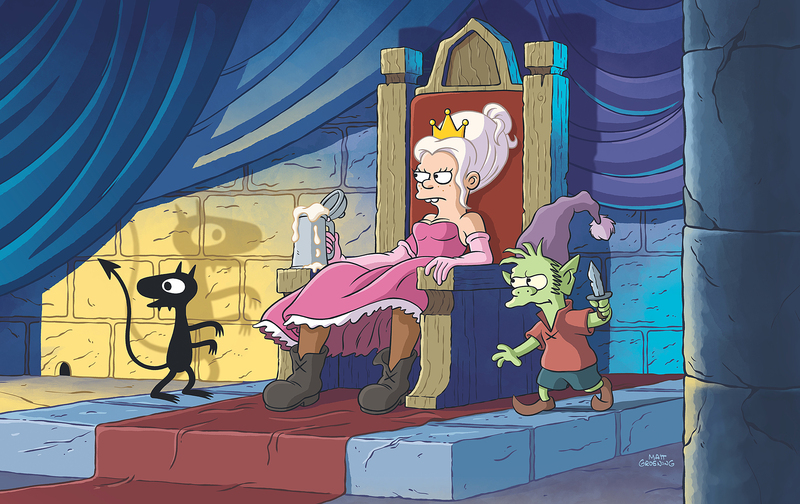 The first season will be 10 episodes long and takes place in a medieval kingdom called Dreamland. Disenchantment is about a heavy drinking princess named Bean, her elf sidekick Elfo and her personal demon Luci..
“Disenchantment” is being produced by The ULULU Company for Netflix, with Matt Groening and Josh Weinstein serving as executive producers on the show. 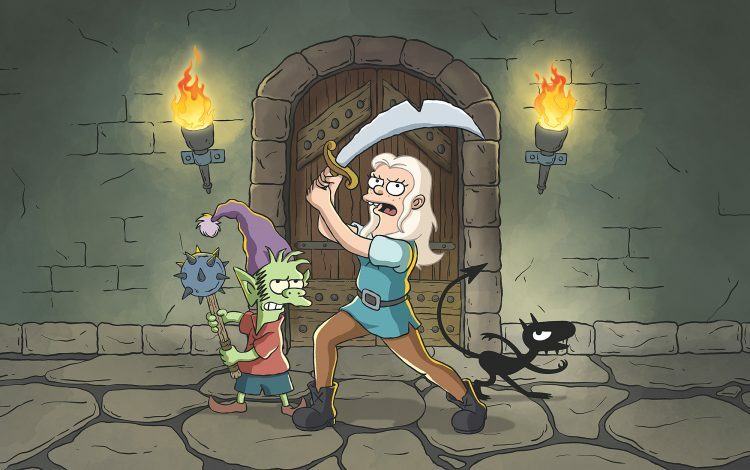 Matt Groening is best known for creating the show “The Simpsons,” which recently finished up its 29th season on Fox. “The Simpsons” has been renewed for a 30th season. 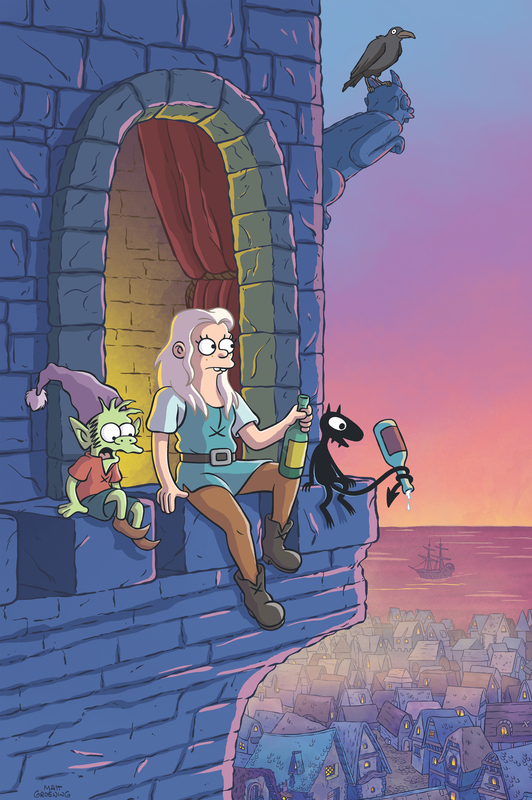 Groening also created the very popular animated show “Futurama,” which ran for four seasons on Fox from 1999-2003 before being revived at Comedy Central for three more seasons starting in 2009.